HAPPY HALLOWEEN EVERYONE! Can you guys believe that October is almost already over? Where has fall gone?! 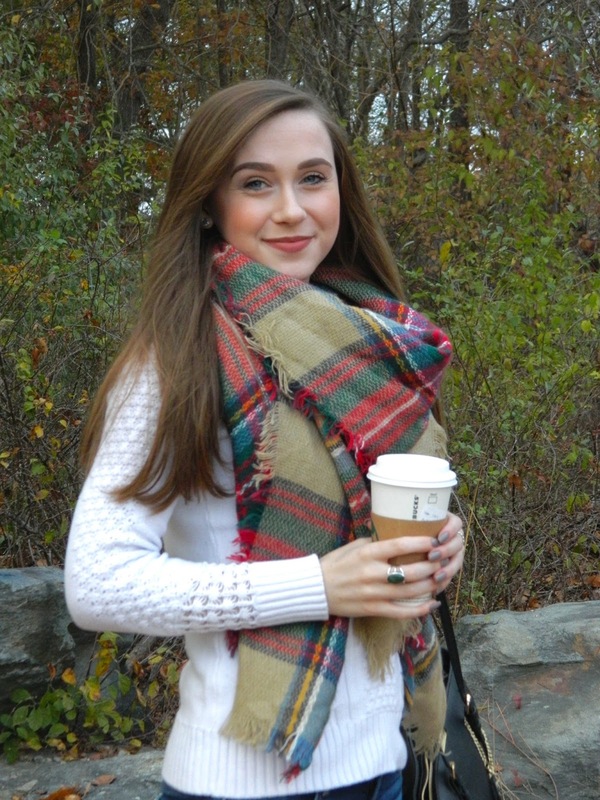 Lately, I've been on the hunt for some cozy, cozy scarves. 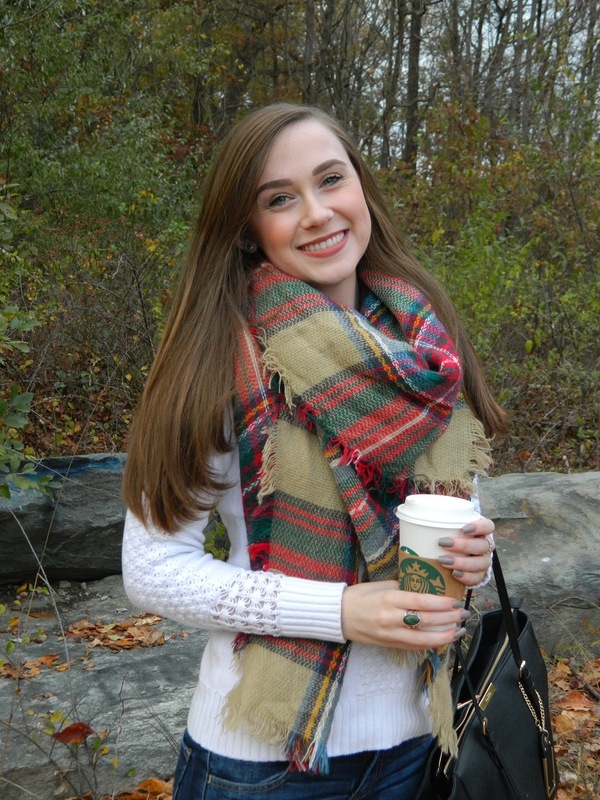 I've always loved scarves, but lately I've been craving big, bulky scarves to keep me warm! With winter quickly approaching, I'm trying to make the most of what's left of fall. 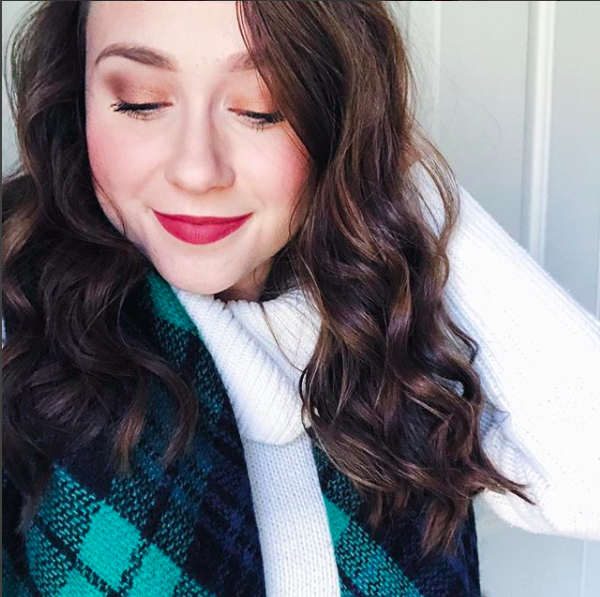 Blanket scarves are perfect because they look great with a simple sweater in the fall, but also look fabulous with your favorite winter jacket when winter arrives. I'm currently obsessing over this blanket scarf because it's SO comfy and looks good with a variety of different outfits. 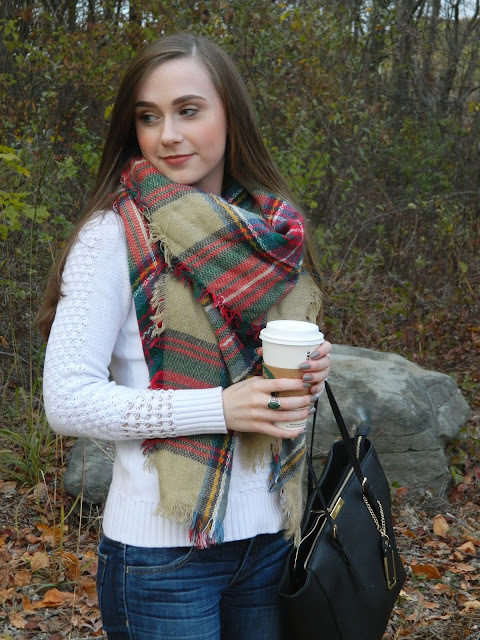 This blanket scarf is so cozy, and I chose to pair it with a simple white sweater, but I've also paired it in the past with a striped top. 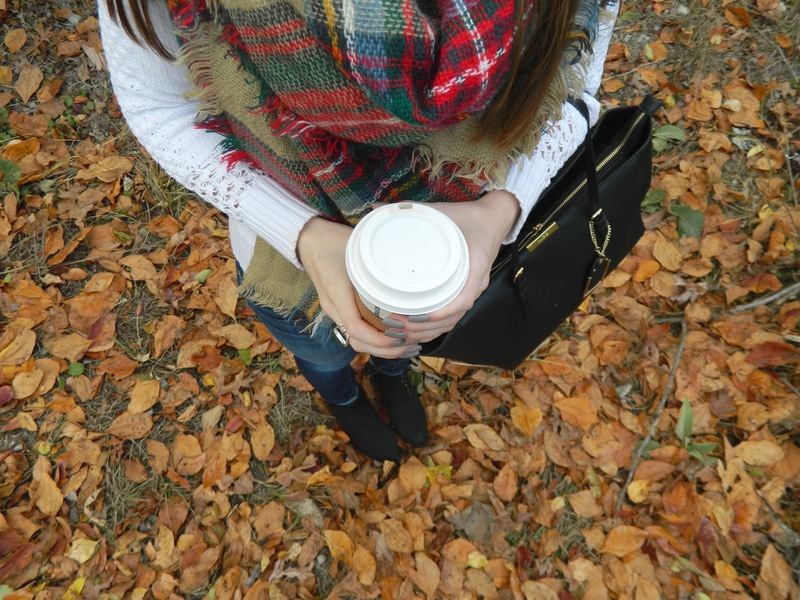 The great thing about plaid is that it goes with so many different things. You can wear it with a simple solid colored sweater/top, or you can mix it up and pair it with a patterned top! I'm linking some more blanket scarves I'm loving at the bottom of this post! I'm also wearing these AE jeans, and they're so comfortable. I always talk about my favorite Calvin Klein jeans, because they're the most comfortable pants ever, but these jeans are really comfortable as well. I've recently fallen in love with these black booties, because they're adorable and they're surprisingly comfortable to walk around campus in. I love a good high heeled boot just as much as the next girl, but they're honestly not ideal for walking around a college campus all day. These booties have a little heel, but it isn't too high. You won't look like you're headed to the club if you wear them to class! Also, my feet don't hurt when I get back from class, even if I've been walking around a lot. Hope everyone is enjoying the last bit of October! 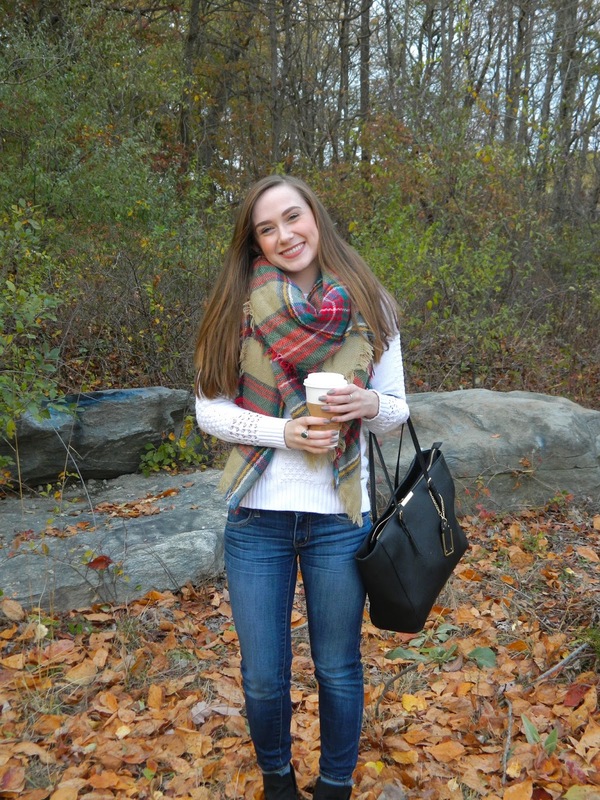 What's your favorite way to style a blanket scarf? Another great post! I keep seeing all of these amazing outfits with blanket scarves. I really need to pick one up soon. You look gorgeous. Thanks for sharing! Thanks so much Nicole! :) Me too! 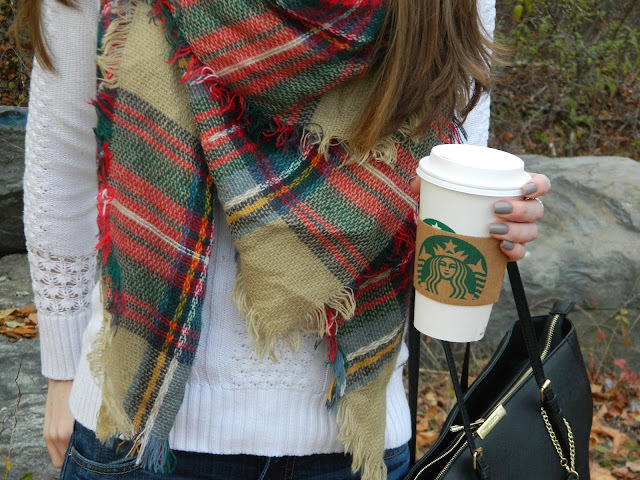 Nice outfit, that scarf is really pretty and looks super cozy! Amazing scarf!! 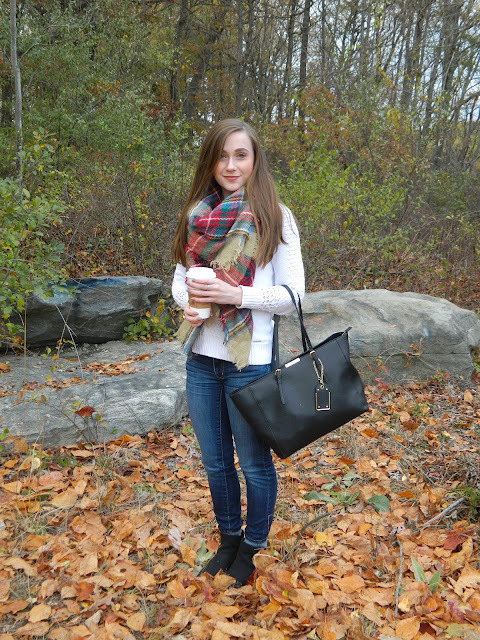 So perfect for fall! 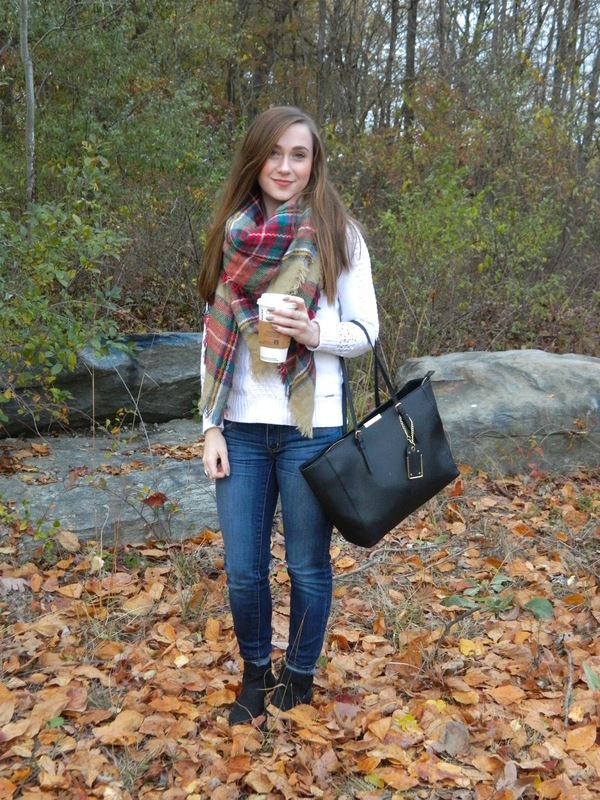 Such a classic fall look, babe- love! Aw thanks Jessi! I absolutely love fall in New England!